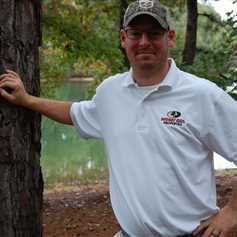 An Alabama native, Sam attended Auburn University earning degrees in Agronomy and Horticulture in 1996, and went on to add another B.S. degree in Environmental Design, while completing his Master's degree In Landscape Architecture in 2002. Sam made his way to Nashville in 2004 after being offered a spot with the award winning landscape architectural firm of Hawkins Partners, Inc. After several years with Hawkins Partners, Sam accepted an academic post as Program Chair for the Horticulture Department at Nashville State Community College. His years of teaching and research at Nashville State saw a resurgence of importance and interest in organic food production and healthy soil environments. After stepping out of academia and joining Mossy Oak Properties-TN Land & Farm all of his expertise and experience have merged in order to assist clients to find and obtain the property that most suits their needs.